Learn How To Stop Foreclosure Fort Worth | Call NOW! Do you need foreclosure help in Fort Worth? Are you interested in learning "How to STOP Foreclosure Fort Worth" at absolutely no cost to you, and in less than 7 days - getting your life back on track with one small decision? Well, you've come to the right place! By following our proven system or by using just one of these well known techniques, you can be well on your way to learning "How to Stop Foreclosure in Fort Worth", DEAD in its tracks.... but you MUST act NOW! Call NOW (817) 550-5069 Opt# 4 to learn more! 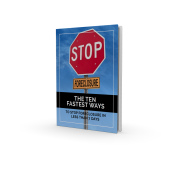 Get Instant Access To "The 10 Fastest Ways To STOP Foreclosure in Less Than 7 Days". We are a Veteran owned and operated real estate investment company and the DFW premier house buyer that buys sells, remodels and leases homes all across Dallas Fort Worth. We've been offering Foreclosure help in the Dallas Fort Worth area since the year 2000, helping hundreds of families Avoid Foreclosure and can help you too. We are excited to potentially work with you directly OR if you are represented by an agent or broker. We are focused on providing solutions to difficult real estate solutions that the conventional method of selling may not provide. To learn more about how we can help you Avoid Foreclosure Fort Worth and the surrounding areas, call our free recorded 24-hour info-line at (817) 550-5069 Opt# 4 NOW! You can also learn more about Avoiding Foreclosure in Texas by visiting the HUD web site HERE. We also offer additional "How To Videos" HERE to on our YouTube channel on how to Sell A House Fast in Dallas Fort Worth. Please Google TMC Property Solutions and to learn what others say about our services and then call us for Foreclosure help in Fort Worth Texas. We invite you to learn more about TMC Property Solutions and what others say about our services please view our BBB report HERE. Sell Your House Fast In Fort Worth and Surrounding Areas!